The Beehive State has great solar and land resources. However, the state does not yet have a renewable portfolio standard (RPS) and burns cheap coal for the majority of its power. Utah’s average residential electricity price was 10.4 cents per kilowatt-hour in March of this year, according to EIA. Despite low electricity costs, regional utility Rocky Mountain Power (RMP) issigning several twenty-year solar power-purchase agreements with renewables developer First Wind. The largest proposed project in this recent wave of solar PPAs is First Wind’s 320-megawatt “Four Brothers” solar plant in Utah’s Beaver and Iron Counties, consisting of four separate 80-megawatt solar power sites. RMP (part of Berkshire Hathaway Energy’s PacifiCorp) also signed PPAs with First Wind’s 20-megawatt “Seven Sisters” solar projects earlier this month. Under the requirements set forth in the Public Utility Regulatory Policies Act, the utility must purchase power from an independent power producer if the price is less than the avoided cost of generating the power itself. While the U.S. does have 50 solar laboratories, it also has scores of utilities looking to impede the spread of solar. As Wright said, “Due to an antiquated regulatory system that rewards capital investments over services provided, the utility likes to own its own projects and earn money on its assets.” She said that RMP was “not just trying to slow down utility solar, but distributed solar as well.” She said that RMP has filed two dockets with the Utah Public Service Commission “to completely change the pricing for smaller projects, and [also]…stalling on prices for larger projects.” Rocky Mountain Power is also proposing a $4.25 per month net metering fee. Another party close to these deals told Greentech Media that there is a “race to get projects done” before RMP reduces the price or capacity payment it pays for solar. 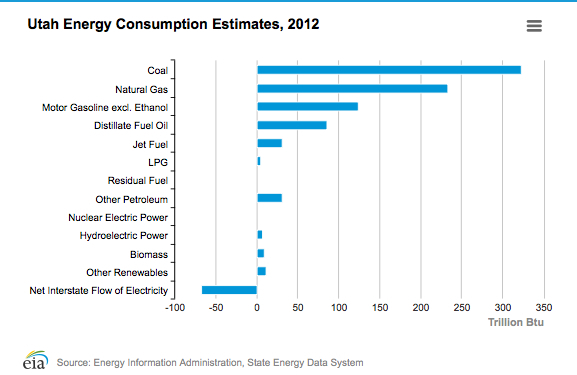 Last year, 3.7 percent of Utah’s net electricity generation came from renewables. Utah installed 5 megawatts of solar in the first quarter of 2014 for a cumulative total of 18.2 megawatts, landing Utah in 26th place based on total PV installations, according to GTM Research’s U.S. SMI report. But Utah could make a huge gain in the solar state rankings if these projects can get built economically. The state’s PSC still has to approve these contracts.